Craving muffins, cupcakes, pastries or donuts? A delicious sandwich and a cup of soup? Need a special occassion or wedding cake? Or maybe you would like to treat yourself, or your friends and family, to a lovely lunch or some beautifully decorated cookies? These cafes and bakeries located in Saratoga Springs and throughout Saratoga County provide a variety of delicious treats, perfect for every day and for special celebrations. Berkshire Mountain Bakery is known for its freshly baked sourdough bread, made from pure ingredients and naturally leavened. 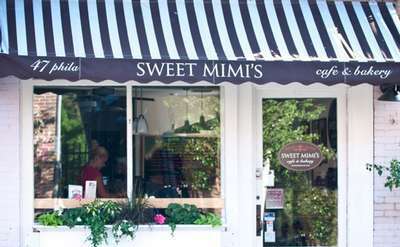 Stop by their Saratoga Springs location and try the bakery's offerings for yourself!